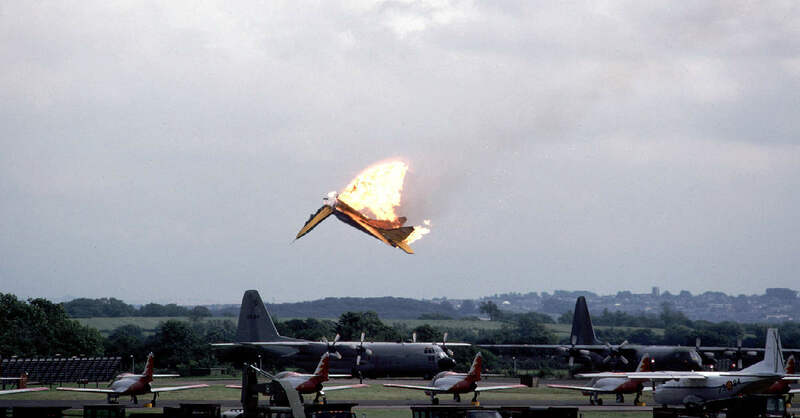 During a 1993 air show at RAF Fairford, Gloucestershire, the nearly 250,000 spectators got more than they bargained for when two MiG-29 fighters collided mid-air. The badly damaged aircraft went tumbling to the earth, erupting into balls of fire. The pilots, Sergey Tresvyatsky and Alexandr Beschastnov, were from the Russian Flight Research Institute. While performing a cross maneuver, the planes collided after one lost sight of the other. 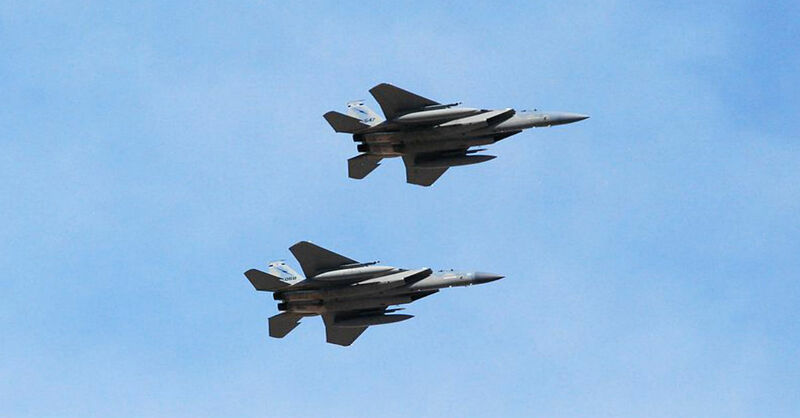 Both pilots were able to eject from their respective aircrafts safely to the crowd’s relief and astonishment. The planes also did not cause significant harm to any spectators. Some spectators even claim they saw the two pilots engage in a physical altercation after landing, but that’s never been verified. In 2009, the UK’s GRF 7/9 force sustained its first major accident while stationed in Afghanistan during one of the top jet ejections in history. The GRF 7/9 force was comprised of both Royal Air Force and the Royal Navy Joint Force Harrier (JFH) organization with the intention of supporting the International Security Assistance Force. This unit helped to maintain the safety of ground personnel in Kandahar, Afghanistan. 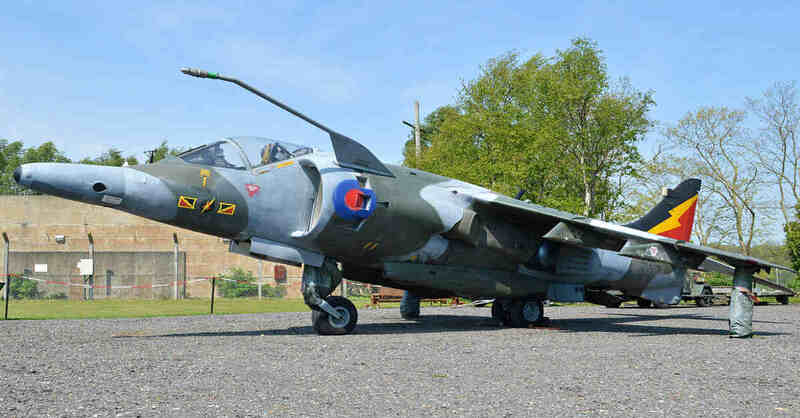 The accident occurred when the landing equipment did not deploy, and the Harrier GR9A was sent skidding down the runway. The pilot ejected himself just moments before the Harrier was engulfed in flames. He suffered only minor injuries, and it was not suspected the accident was a result of any kind of enemy interference. 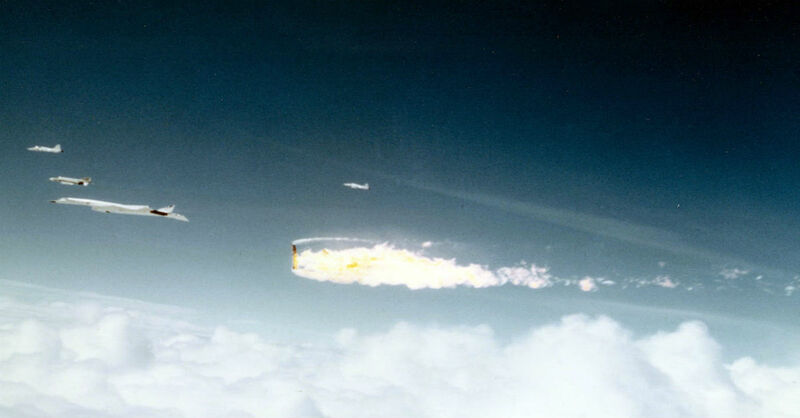 One of the most famous and tragic jet ejections happened on a beautiful day in June in 1966. America’s latest development, the XB-70 Valkyrie, along with four other aircraft including a F-104N Starfighter, were brought to Edwards AFB. There they would participate in a promotional photo shoot for the jet’s engine producer, General Electric. Pilots of the Valkyrie were North American test pilot Major Carl Cross and Air Force pilot Colonel Al White. Joe Walker piloted the Starfighter. The planes were to make a certain formation for the photo op which had Walker following behind the XB-70 at very close range. Suddenly, the F-104 was overtaken by the wingtip vortices of the Valkyrie sending it cartwheeling out of control. The Valkyrie sliced through the F-104’s cockpit, killing Walker instantly. Soon, the XB-70 was also spinning out of control, making it difficult for the pilots to make it to their escape pods for ejection. Al White eventually was able to eject, but Cross never does. Four officers were eventually implicated in the subsequent investigation. 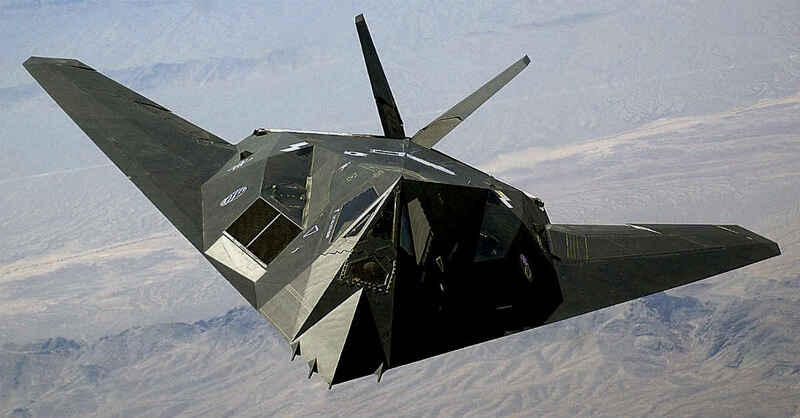 The Lockheed F-117 Nighthawk is one of the US military’s prized creations as it was the first operational aircraft to be built using stealth technology. It was highly utilized in the Gulf War, and only one Nighthawk was lost in battle. Unfortunately, one was also lost in a Baltimore, MA area air show. On September 14, 1997, Capt. Bryan Knight was flying the F-117 over a crowd of excited spectators when the port wing completely separated from the fuselage. 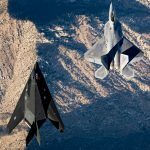 The stealth jet went spiraling toward earth, and Knight was able to eject safely. The aircraft remains destroyed two homes in a Chesapeake Bay marina, but luckily no one was seriously injured. The subsequent investigation revealed that the aircraft was missing four fasteners for the wing’s structural support. A mistake that was probably made when the aircraft’s wings were removed and reinstalled a year earlier. Known as the deadliest airshow incident in history, the Skynyliv air show crash in Ukraine in 2002 rocked the aviation world. With 10,000 spectators present, the pilots prepared to take to the skies for the 60th anniversary celebration of the Ukrainian Air Force’s 14th Air Corps. 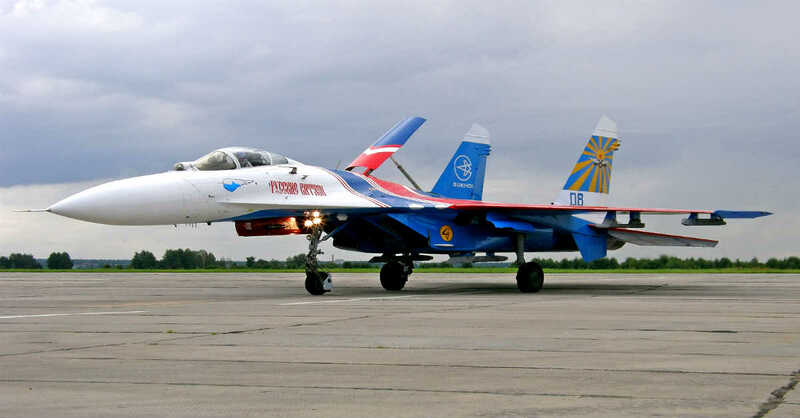 Head pilot, Volodymyr Toponar, and his co-pilot, Yuriy Yegorov, were among those that would be performing in a Sukhoi-Su 27 aircraft. Shortly after the two began their flight routine, something went terribly wrong. After entering a rolling maneuver in a downward trajectory, the left wing hit the ground. The plane skidded along the ground and quickly engulfed in flames, but not before the pilots were able to safely eject themselves from the jet. While the pilots escaped without injury, the fiery crash killed 77 spectators and injured over 500 others. In 2005, military court sentenced Toponar to 14 years and Yegorov to 8 years in jail for negligence and failure to follow flight rules. 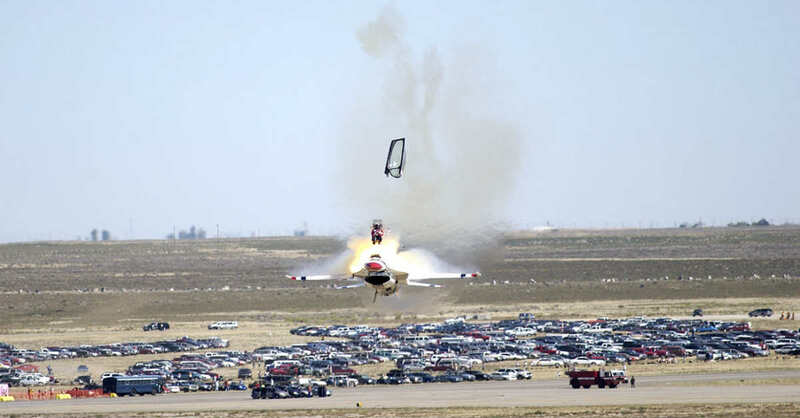 Though crashes at air shows are very rare, there is always a risk for both pilot and spectator. One such rare accident occurred at Mountain Home Air Force Base in Idaho during an air show in 2003. Pilot, Capt. Chris Stricklin, was flying a Thunderbird F-16C when he entered a “Split S” maneuver at the wrong altitude after using the wrong mean sea-level (MSL) to make his altitude calculation. 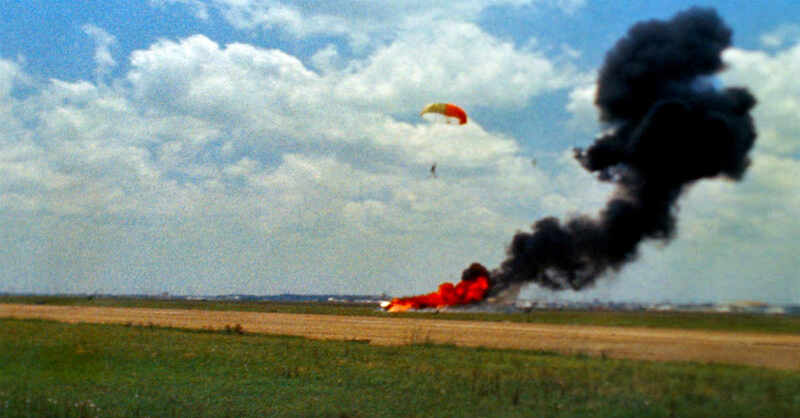 He was able to eject himself at only 140 feet, .8 seconds before impact, and only after making sure the plane would not crash into spectators. Captain Stricken luckily did not sustain any severe injuries, however the $20 million plane was a total loss. The accident had a lasting impact on how the Thunderbirds perform and call out flight instructions. It is now required for Thunderbird pilots to climb an extra 1,000 feet when performing the “Split S”. Furthermore they must use the MSL when calling out to the safety operators on the ground. This next incredible jet ejection is really more of a “partial” ejection, but the fact that the pilot survived is nothing short of amazing. 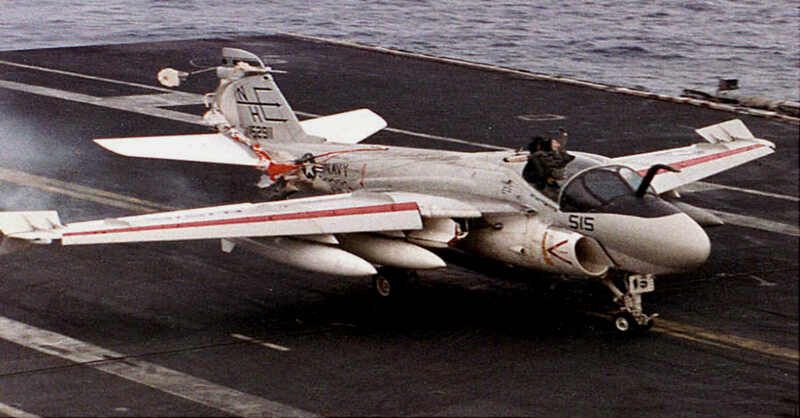 In 1991, Lt. Mark Baden and Lt. Keith Gallagher were flying a KA-6D tanker called the Intruder “Lizard 515” in a standard ariel refueling mission over its carrier, the USS Abraham Lincoln. Suddenly, while attempting to get the left outboard to drop by applying positive and negative Gs, Lt. Gallagher (who was the bombardier and navigator during the flight) was sent through the canopy roof but not completely ejected out of the aircraft. 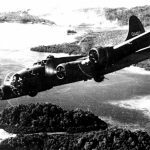 To his horror, he was stuck half inside, half outside the A-6, moving at 230 knots. His parachute was wrapped around the tail of the plane, his helmet and face mask ripped from his head. 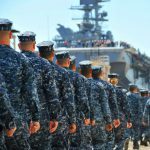 Thanks to the quick and precise actions of his pilot, Lt. Baden, the two were able to land safely back onto the USS Abraham Lincoln within six minutes of the catastrophe. Gallagher was lucky only to endure temporary injuries, and Baden was awarded an Air Medal for his decisive actions. During an air show practice in Canada in July of 2010, Captain Brian Bews was flying a CF-18 Hornet when he suddenly found himself at a total loss of control of the powerful aircraft. While attempting a maneuver at very low altitude, a piston became stuck causing the engine to become idle mid air. 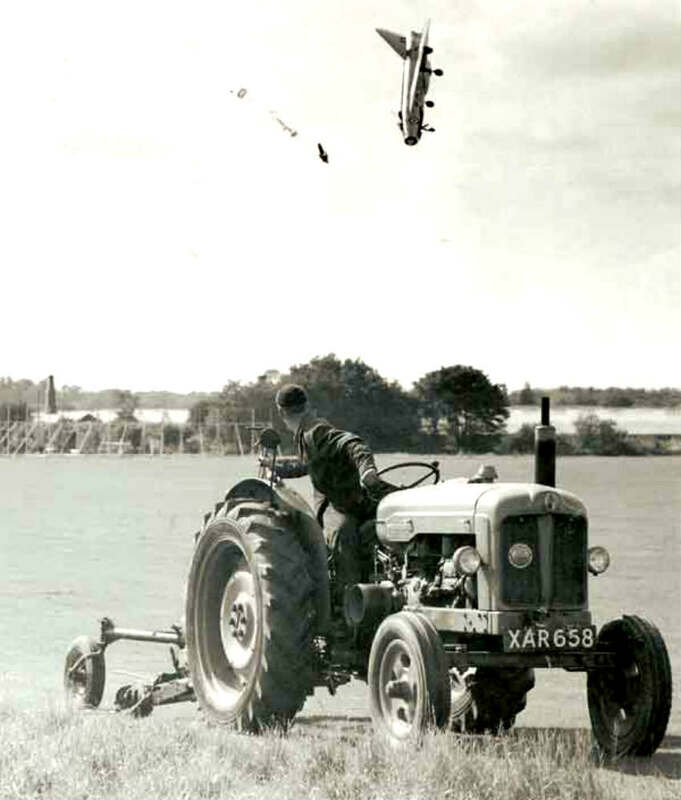 Bews, realizing the plane was unrecoverable and heading towards the ground fast, ejected himself from the cockpit just in the nick of time. The ejection was smooth, but the parachute became wrapped around his leg and violently dragged him for several hundred meters. He was lucky to survive. The plane’s malfunction caused the CF-18 demonstration team to cancel a number of planned performances in both Canada and the US. The emergency ejection seat is meant to save the lives of our pilots during training and combat missions. But what if that same life saving mechanism was responsible for your death? That’s exactly what happened to this Red Arrows pilot, Flt Lt Sean Cunningham, in November of 2011. 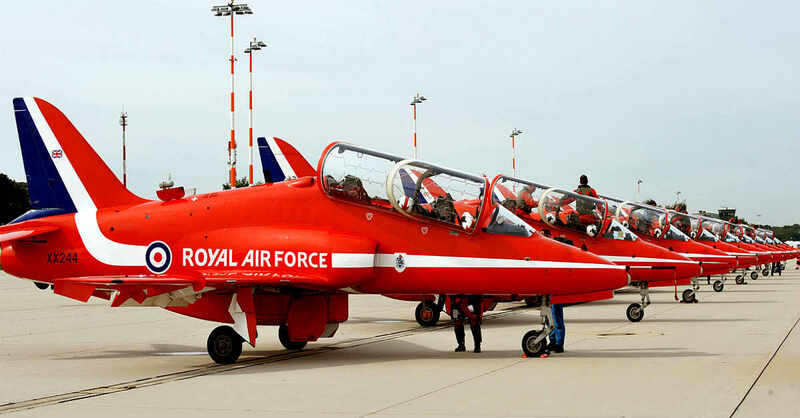 As a group of Red Arrows were performing their safety checks and preparing for take off, Cunningham was abruptly shot through his canopy, nearly 300 feet into the air. In another stroke of horrible luck, his main parachute did not open, sending him careening back to earth at an extremely high speed. Cunningham did not survive the ordeal. 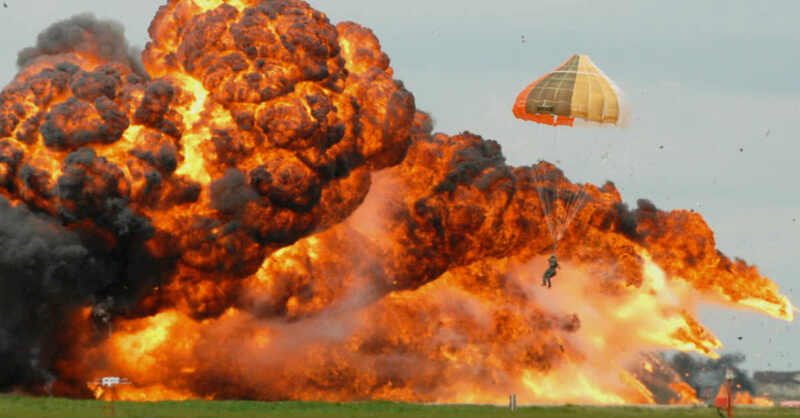 The investigation into the accident showed that the ejection seat firing handle could be accidentally left in an unsafe position, and his parachute did not deploy due to a nut and bolt fastened too tightly. Ultimately, the cause came down to a lack of communication from the manufacturer, Martin-Baker, and a number of other organizations related to the Aerobatic Team. While the ejection seat saves lives, the process itself is dangerous and should be reserved for last resort emergency situations only. Those that find themselves in a situation where it’s the best option usually end up with some minor injuries. Of course this is the far better alternative than going down in a fiery blaze, and experienced pilots have been prepped for the jarring process. But when a civilian taken for a joy ride accidentally pulls the ejection lever, that’s going to be one wild ride. 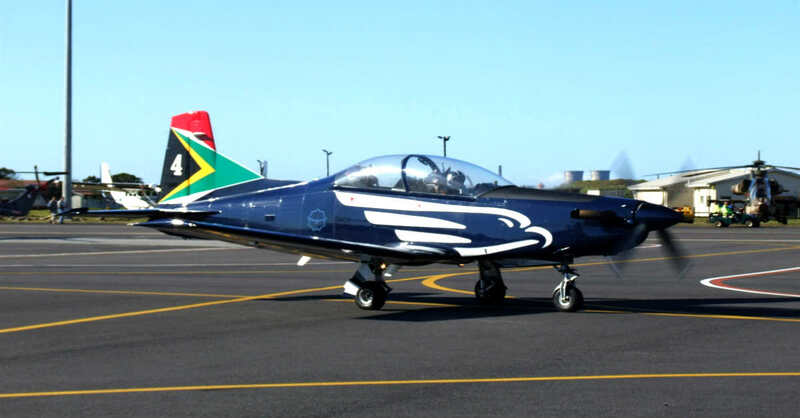 That’s exactly what happened when an air force pilot in the South African Silver Falcons display team took a friend on a “joy ride” in a Pilatus PC-7 Mk II. While performing a roll maneuver, the friend attempted to brace himself. Unfortunately he did just the opposite when he pulled the eject lever. After literally exploding through the aircraft canopy, his parachute opened and he gently floated back down to earth without serious injury. The SR-71 Blackbird was introduced in the 1960’s, and it remains one of the fastest operationally flown aircraft to date. It’s required that the aircrew wear specialized protective suits when operating the aircraft. The pilot of the SR-71 on one particular day in 1966 would be forever indebted to the suit’s incredible design. During a testing mission, pilot Bill Weaver directed the plane some 78,000 feet into the air with Lockheed test flight specialist, Jim Zwayer, in the back seat. 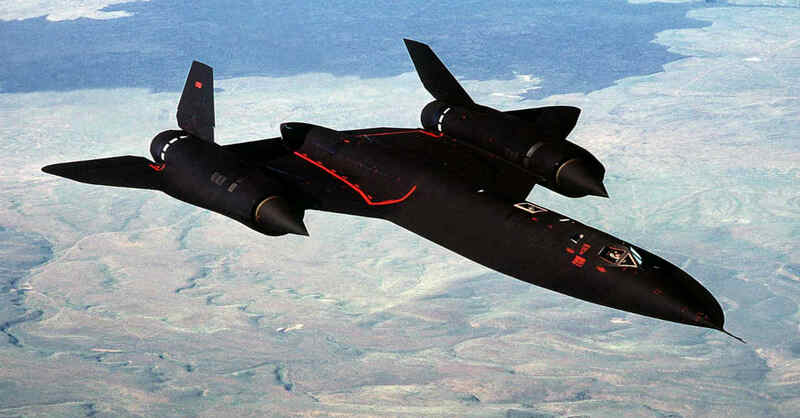 At Mach 3.18, the Blackbird experienced an “inlet unstart,” in which the left engine immediately un-started. Weaver knew it wasn’t good, but also that ejection at that speed and altitude was essentially a death sentence for them both. While trying to take the plane lower and slower, the plane began to disintegrate. Before he knew it, Weaver was outside the aircraft, a full layer of ice on his face mask, but falling toward earth in a controlled state. His partial parachute which was designed to keep a person from tumbling had deployed and soon his main parachute opened as well. His special SR-71 suit worked perfectly and saved his life after his aircraft literally disintegrated around him. Zwayer was killed in the accident after breaking his neck during ejection. However, it was found that his suit also delivered him back to the ground as was designed. Not many people know what it is like to go through full jet ejection at around 800 miles per hour. However, Capt. Brian Udell, an F-15E fighter pilot from Mountain Home Air Force Base, Idaho, knows all too well. While completing a routine night training procedure with his co-pilot, Capt. Dennis White, they realized that one monitor was not relaying the correct information as to the whereabouts of the plane. They were suddenly faced with the fact that they were heading straight down towards the Atlantic Ocean at over 700 mph. It was too late to save the plane, so Udell ordered a bail out at 10,000 feet at a speed of around 800 mph. Although he blacked out punching out of the F-15, he came to while floating towards the ocean under an open parachute. His injuries were severe – broken legs, dislocated elbow, cracked rib, and cuts and bruises covering his entire body. Every blood vessel in his face had been ruptured causing his head to swell up like a basketball. After surviving in the freezing Atlantic Ocean for four hours, he was rescued by the Coast Guard. White unfortunately was killed immediately upon ejection. This made Udell the only survivor of one of the fastest known ejections in history. 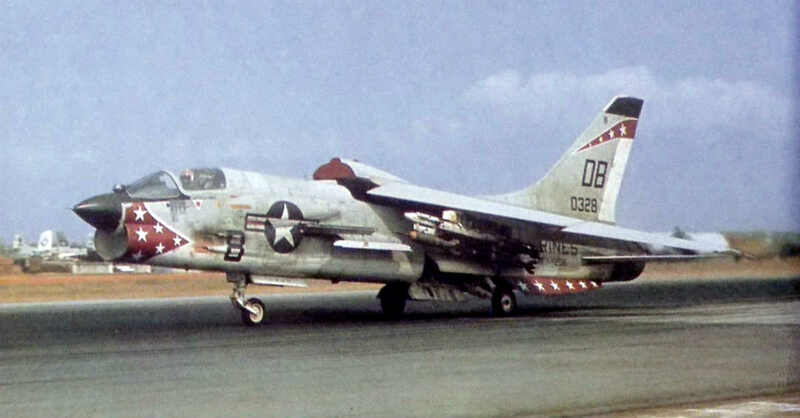 The F-8 Crusader proved particularly useful in the Vietnam war against the North Vietnamese Air Force’s MiG fighters. 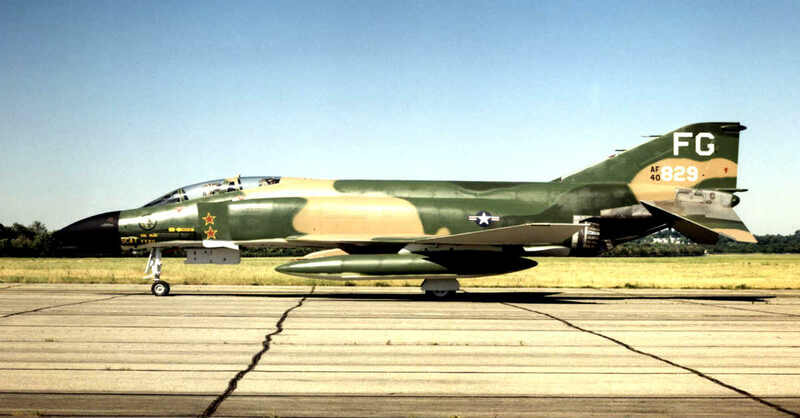 It was the last jet to be fitted with guns rather than missiles as its main armament. They were fast, agile, and versatile, and enemy forces soon learned that dog fights with the fighter were no walk in the park. One story illustrates just how deadly the reputation of the Crusader had become to the Vietnamese. It also happens to be the last F-8 “kill” of the war. Crusader pilot, Jerry Tucker, had his AIM9-C Sidewinder aimed and ready to take down an enemy MiG when, before he could do anything, the MiG’s canopy blew open sending the pilot into the air. The MiG pilot opted to eject before any combat even began. A disappointed Tucker had to return to base without a technical kill that day, but naval historians would later argue it in his favor as the last F-8 kill of the war. Jim Meads was a photographer living in Hatfield, Hertfordshire near the de Hatfield airfield in 1962. A pilot friend notified him on September 13th of that year that he would be test flying an English Electric Lightening F1 XG332 if he would like to come take some photos. Happy to get shots of the only British built fighter capable of Mach 2 speeds, he set out toward the airfield hoping to get photos of his children with the F1 landing in the background. The photo he ended up getting would become famous. As he and his family walked up, a grounds keeper for the airfield approached them in a tractor to tell them to leave the area. That’s when the plane went out of control at a very low altitude with the pilot ejecting at the last possible moment, setting up an incredible, one of kind shot (especially for the time). As it turns out, the pilot was not Mead’s friend, but another test pilot named George Aird. He landed on a tomato greenhouse nearby, crashing through the roof and breaking both legs on the way down. The story is well documented by Aird, Meads, and Mike Sutterby, the tractor bound groundskeeper who was only 23 at the time. 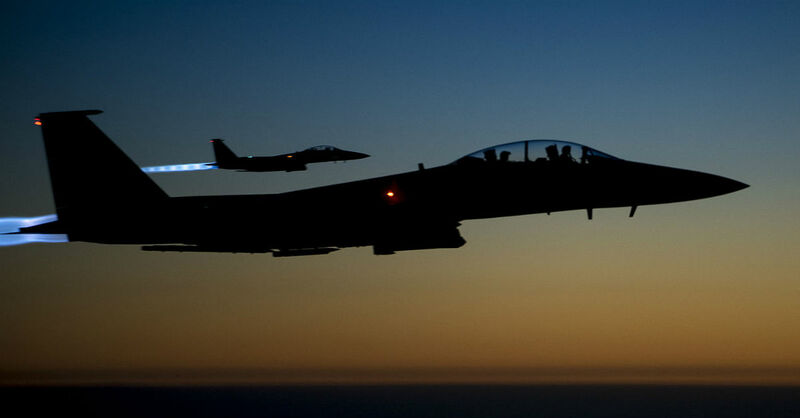 In 2011, Major Kenneth Harney and Captain Tyler Stark of the United States Air Force were enforcing a no fly zone in a F-15 ‘Strike Eagle’. At some point during the mission, the men were forced to eject due to an issue with the plane. The problem was, they were over the enemy territory of Libya. With the plane going down they had no choice, and both men ejected. Safely out of the aircraft but separated, it was time to figure out how to survive in hostile territory on their own. 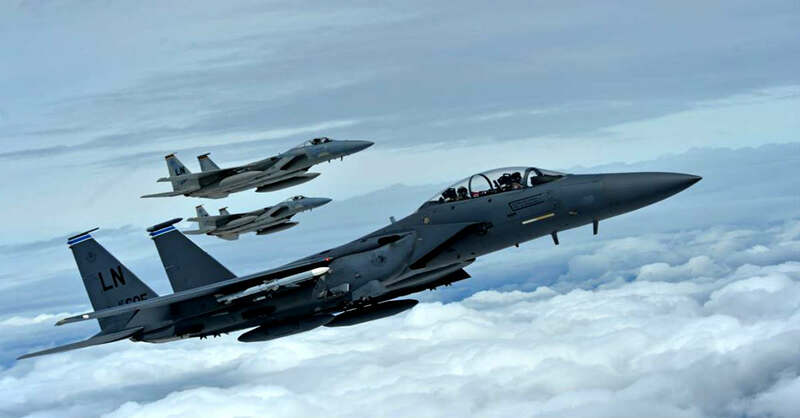 Luckily, Major Harney maintained contact with another F-15 flying in the area who was able to send a Navy helicopter to his location for rescue. Captain Stark was also lucky to find Libyan civilians willing to hide him until he could be evacuated. The details of this evacuation have not been disclosed. 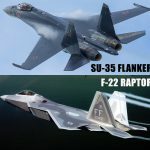 The cause of the crash was determined to be a lack of knowledge as to how the F-15 maneuvers with significant weight imbalances in external stores. In yet another incident involving a F-15D fighter jet, a pilot was forced to eject after his aircraft lost control during a training exercise in England. The plane was based out of RAF Lakenheath and when the F-15 hit a flat spin at 15,000 feet, he radioed, “Dude, I’m getting out!”. Seconds after his ejection at 6,000ft, the doomed F-15 crashed creating a massive explosion in a field near some homes in Spalding, Lincolnshire. The pilot escaped with minimal injuries and no one was injured on the ground. 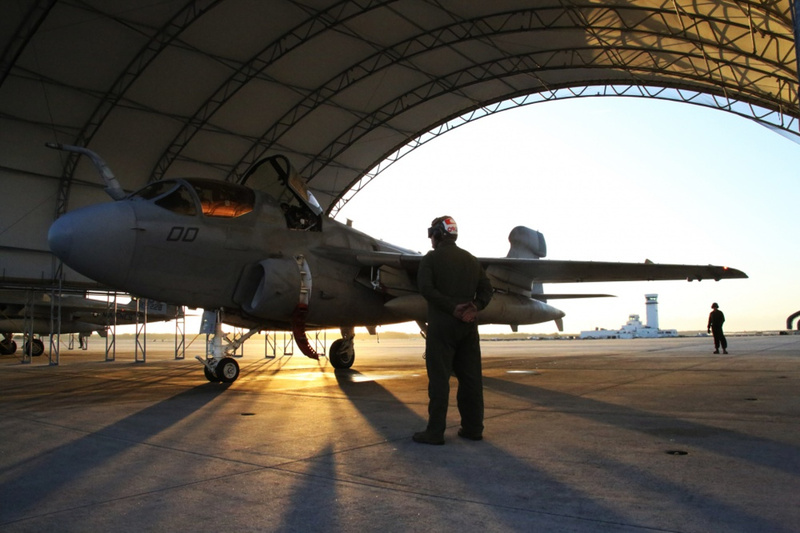 Tucson, Arizona is home to a particularly tragic jet incident. In December of 1967, shoppers were busy stocking up for the upcoming holiday in a Food Giant grocery store. Suddenly a huge explosion occurred in the back of the store, which soon had the whole store up in flames. A US Air Force F4D Phantom II jet fighter had crashed into the back of the Food Giant, taking out at least two nearby homes in the process. Fifteen people were killed, however both pilots were able to eject safely. It was the first time the Air Force was involved in a fatal residential accident in Tucson. 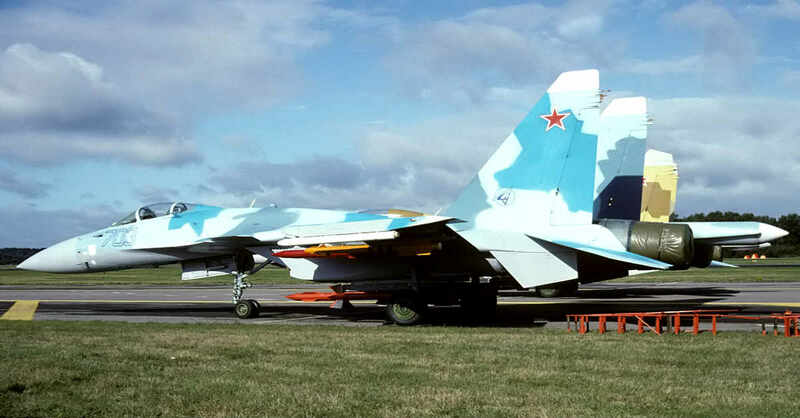 In 1989, the Mikoyan MiG-29 Fulcrum ‘Blue 303’ was the newest fighter to come out of the Soviet Union. Excited to show the Paris Air Show crowd what the plane could do, Russian aerobatics pilot Anatoly Kvochur began his routine. During his low-speed, high angle attack maneuver, a bird was sucked into his turbofan essentially causing engine combustion. Because he was moving at such a slow rate (around 110 mph), he was not able to effectively stabilize the aircraft using just the remaining good engine. Knowing the plane was going down, he quickly steered the Fulcrum away from the spectators. Kvochur managed to eject just 2.5 seconds before it crashed into earth. 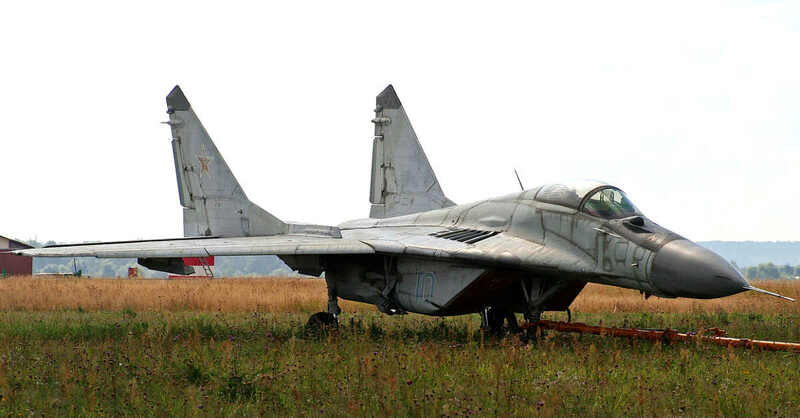 Good thing Russian ejection seats are some of the best in the aviation world. While not a jet ejection per se, the next incident is a bail out that definitely made the history books. During preparations for the inaugural moon landing, Neil Armstrong had to do numerous test flights in the lunar landing research vehicle which was highly unstable. During one of his flights, Neil was forced to bail out when it was clear the vehicle was out of his control. A good call because it was in flaming pieces moments later. According to astronaut Alan Bean, Neil was back at his desk working an hour later as if he hadn’t just narrowly avoided death. As it turns out, Armstrong was no stranger to harrowing aviation ejections. He had to eject out of his F9F Panther fighter/bomber during the Korean War when he was just 21 years old. 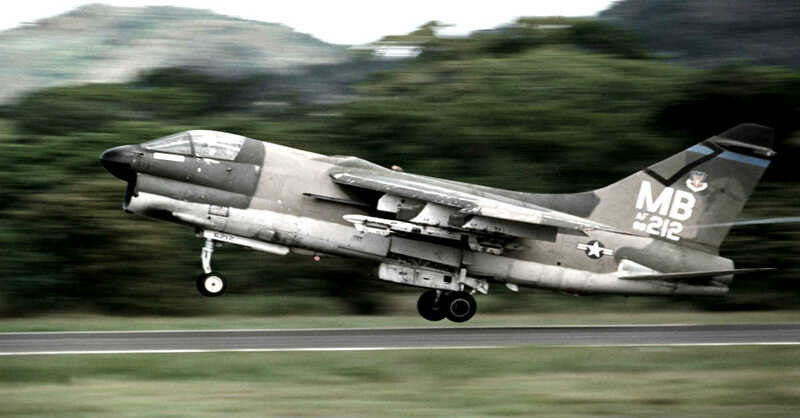 After attempting to make an emergency landing when his A-7 Corsair lost power, United States Air Force Maj. Bruce Teagarden had to eject when he realized he would not make it to the runway. It happened in 1987 near the Indianapolis Airport and the pilot landed safely with only minor injuries. Unfortunately, the unmanned plane flew straight into a Ramada Inn hotel with about 170 inside. The impact immediately engulfed the structure in flames, and sadly nine people were killed. There are no hard and fast rules about ejection as every situation is different. However anytime civilians are killed or injured, rest assured there will be extensive investigation as to what went wrong. Russian jet fighters are down to do some crazy stuff, but to willingly eject from a Sukhoi Su-35 at Mach 2 speeds for a movie stunt? Not unless they have a death wish. A picture surfaced on the internet that supposedly was just that, and people went crazy for it. But it wasn’t long before it revealed that this was not quite as extreme as it looked, though still pretty incredible. The pilot ejected while safely on the ground. However, he really did hit Mach speeds without a canopy which is nothing to take lightly. 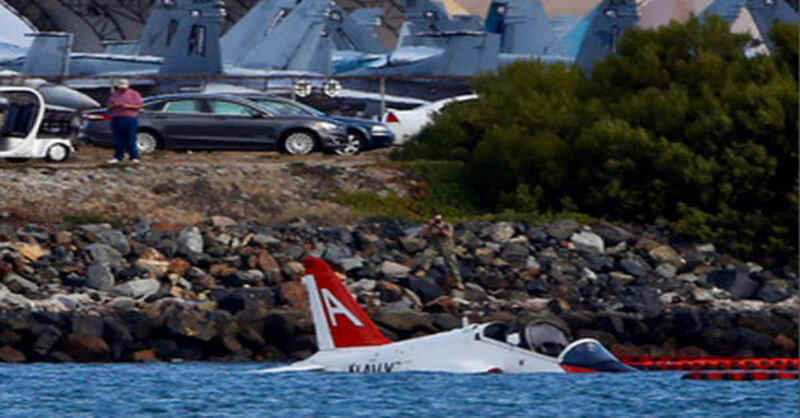 During a routine training flight meant to prep for air carrier landing qualification, a USAF pilot was unable to stop his T-45C Goshawk trainer aircraft from going past the runway and into the water at North Island Naval Air Station in San Diego, California. He ejected from the aircraft before it slid into the San Diego Bay. The pilot was picked up by boaters when his parachute also landed him in the Bay. The reason for the accident is still under investigation, but this probably didn’t bode well for his carrier qualification prep.